The beer section at Constantino’s Market in Cleveland, Ohio. I think most of my gluten-free friends would agree, beer to someone who is gluten intolerant (has celiac, or is GF by choice) is like ice-cream to someone who is lactose intolerant. You know, you know, you shouldn’t have it, but when your group of friends invite you out for some, you feel yourself start to waiver… It sounds so good and refreshing, doesn’t it? Well, no fear! Increasingly bars, brew houses, liquor stores and local grocers are starting to carry gluten-free beer alternatives, including a wide variety of delicious hard ciders. Hard ciders have become increasingly popular in the last few years, and breweries across the country seem to be taking notice. Sales increased an average of 27.5 percent annually during the last five years (according to an estimate by IBISWorld), and I can only imagine a good chunk of this can be attributed to the growing gluten-free population! With the growth in demand has come and influx of choices, so how does one navigate the cider section? Below, I’ve created a little reference chart of some of the most popular cider brands (and included my own description of each)! 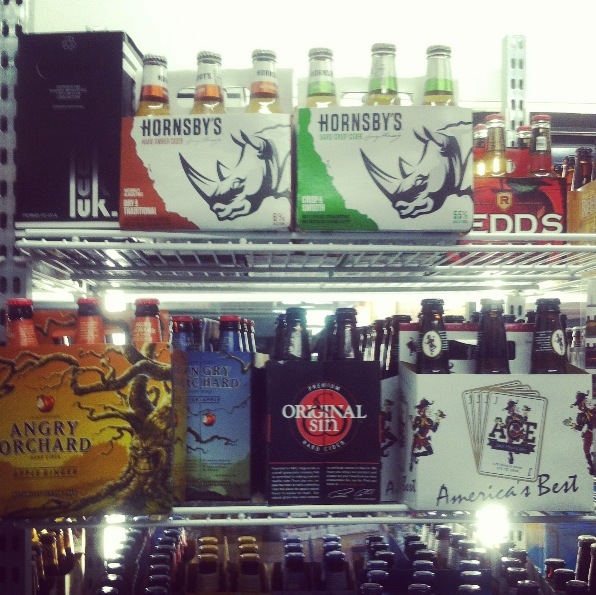 For more fun facts about hard cider, check out this article from Food Republic!